Legal cannabis is enjoyed across America. Now, there are 29 states where medical marijuana can be purchased and used. In 9 states people are using cannabis completely prohibited as a recreational substance just like alcohol. While cannabis is still a highly regulated substance by the U.S. government pot prohibition is ending all over the globe. Just think about legal cannabis expanding across the United States and including even more places where you can smoke weed and use other cannabis products legally. Well, that utopia is quickly becoming less of a dream and more of an everyday reality. In fact, today there is breaking news that even more states across the nation are including legalization initiatives. 1. New Jersey. Without Chris Christie, Governor Phil Murphy has promised to sign any reasonable legalization bill that comes across his desk – including proposals for recreational weed! This is why many people are thinking that New Jersey will be where the legal weed is at. 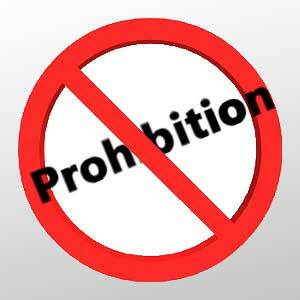 Only time will tell though if New Jersey citizens will be able to end pot prohibition at home. Keep an eye out for legalization here as a few cannabis bills are currently in the works. And in New Jersey, they’ve got high hopes. 2. Oklahoma. Out in Oklahoma there is a new initiative known as State Question 788 that would green light marijuana cultivation as well as medical use of cannabis, to qualifying patients. The initiative started out with a bang, but now already defeated State Question 788 will have to wait for its writers to better express the ballot as it was allegedly said that the title was misleading. Look for results of this ballot in June to know if Oklahoma is the next place people can get legal weed. 3. Michigan. This is another state working hard to get enough signatures to pass an initiative for legal adult use cannabis. Currently, Michigan’s medical cannabis program (which has remained for a decade) is ready for an upgrade. This is the first Midwestern ready to pull the trigger on a 21+ recreational cannabis initiative. As of January, the 2018 initiative committee raised a reported $1.3 million from investors who want to see the ballot successfully gain enough signatures to get on the November 2018 ballot. 4. Virginia. Just a few months ago, Vermont revealed that they were another state to decriminalize cannabis. Effective July 1st, the efforts from Vermont to end cannabis prohibition were pretty rad. First off, Vermont is one of the first states in America to legalize adult marijuana use for recreational uses through the legislature. Then, the cannabis bill passes even after Jeff Sessions announced the Department of Justice rescission of the Cole Memorandum. This victory behind them, Virginians joined the population of legal cannabis users in New York and New Hampshire. With its efforts focused on ending prohibition of cannabis, Virginia continues to propose new bills to the senate. Recently, the panel voted in legislature allowing doctors to prescribe CBD or THC-A oil to patients for medical use. However, the war wages on for the right to smoke legal weed so stay tuned for more information in the future on the status of legal cannabis in Virginia. 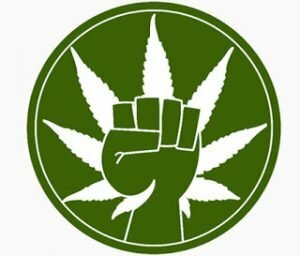 Who’s Next to End Pot Prohibition? If you’re getting excited about the end of pot prohibition in your city, keep checking back here for the latest updates. 2018 has a lot to offer as 26 states offer initiative and/or veto referendum rights to their citizens. Check to see if your state is on this list and very soon you may be able to say, “Where’s the weed?” right in your hometown and get it!